Drive through certain neighborhoods in Chicago, and every restaurant features pho. But since it’s not the hottest item on kosher menus–where Mexican cuisine is considered exotic–all I knew was that it involved soup and noodles. Well, folks, thanks to the World Wide Web, I too can eat pho. And now, so can you. 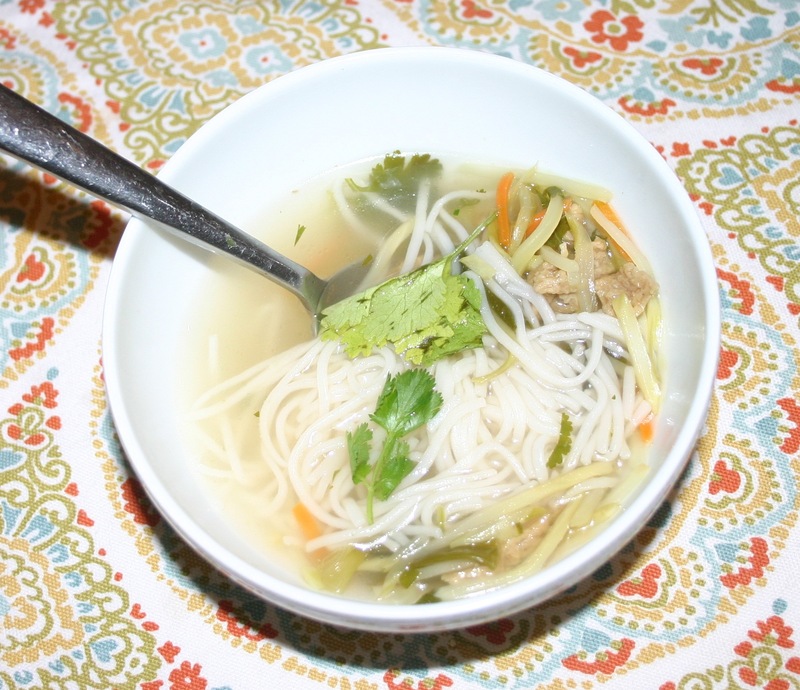 Meet pho (pronounced “fuh”)–a Vietnamese version of your mama’s noodle soup. Perfect for Shabbos. We Jews have been eating a less spicy version of this soup for millennia. Prepare the noodles as directed. Then, in a large pot, sear the meat (or seitan) until charred but lightly cooked, 2 to 3 minutes per side, then transfer to a plate. Saute the onion, garlic and ginger in the same pot for 3-4 minutes. Add the broth, salt and pepper, the star anise and cinnamon, reduce the heat and simmer about 20 minutes. Thinly slice the scallions and jalapenos, removing the seeds, and chop the cilantro. Thinly slice the meat against the grain. Drain the noodles. Discard the ginger, star anise and cinnamon. Divide the noodles among individual bowls; top with the broth, beef, scallions, cilantro, bean sprouts and jalapenos. Yummy! Linh, my nail tech, would be proud!